There are probably just a few things that make bibliophiles go weak in the knees – the smell of newly minted books, a favourite author releasing an awaited title, and seeing writers, publishers and fellow bookworms congregate in one place. Jaipur’s most popular selling point offers it all. 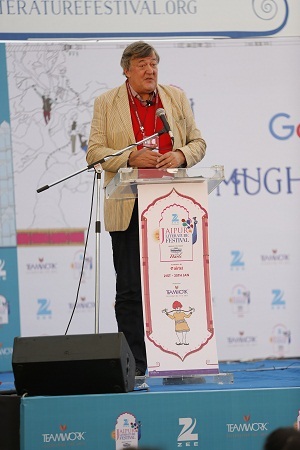 As I try to squeeze my way through the crowds at the front lawn of Hotel Diggi Palace – home of the Jaipur Literature Festival (JLF) since 2006 – on a cold Thursday morning in January, I come across the co-founder of the event, William Dalrymple, talking about the country’s love for reading at the opening ceremony. I wonder, though, how many of the thousands of people packing the outdoor venue are really there to celebrate literature (“Yeh stage pe baat kaun kar raha hai?” I overhear a young girl ask). But I tune out from conversations of such a nature (though I really wish to give the man who asks “Who is Manto?” a piece of my mind) to focus on five days of book-lover heaven. 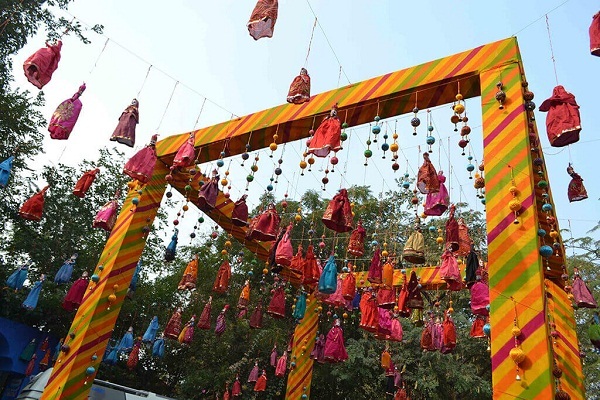 For an avid reader, being at JLF is like being a kid in a candy shop – I want to attend five sessions all at once, and I swoon over every author we spot. And though it is hard to do, I also stick to star attraction Stephen Fry’s #NoSelfies rule. 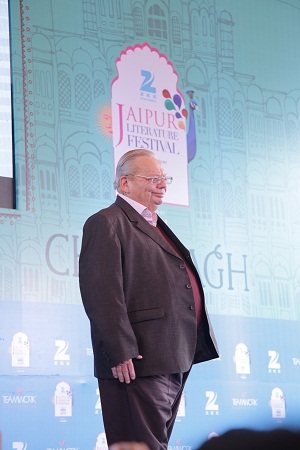 As the first discussion of the festival begins, I am enamoured by Ruskin Bond talking about his journey as a writer, and a human being. Of course, the cold wind of Jaipur isn’t very kind to all of us, but even the discomfort it brings is forgotten as Bond shares stories of his first kiss (“I was 10 and so was she…we tried it and missed!”), playing truant at school, and the meaning of friendship (“You mustn’t look for perfection in your friends, but look for affection.”). And the audience interactions evoke their own laughs, as tiny children pipe in with questions ranging from ‘Can you suggest a book I should read?’ to ‘Why do you live in the hills?’. Bond is at his best, and his caring grandpa-like demeanour warms my heart. And yes, I stand in line behind hundreds of children to get my copy of A Gathering of Friends signed by the literary star. This session is going to be hard to beat. But I am proven wrong quite quickly. The rest of the day’s sessions are as enlightening as Bond’s, if not more. I find myself engrossed in a discussion on translation of literary works as Jerry Pinto reiterates that nothing can come close to a text in its original language. And even as crowds throng to the front lawn to see Karan Johar and Shobhaa De in conversation, I opt for the session on Man Booker Prize books with Marlon James, Sunjeev Sahota and Anuradha Roy. “A lot more people are paying attention to what I say…and that can provide a forum to talk about really important issues,” last year’s winner James tells me later, about how life changes after one wins the most coveted prize in the literary world. 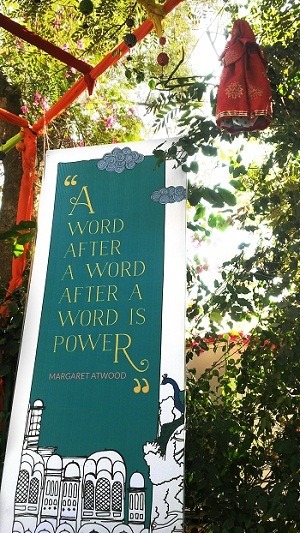 If Ruskin Bond makes everyone’s first day of the event worth it, Friday belongs to Margaret Atwood. 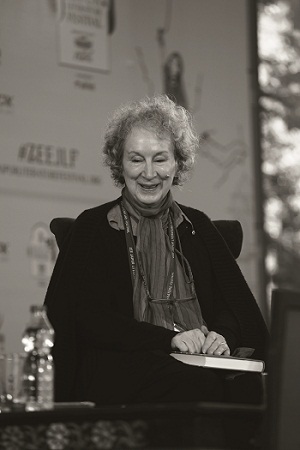 The Canadian writer-activist charms all those present with her quick wit and wisdom alike – and regales one and all with her views on politics, literature, mythological beings, women’s empowerment and the Game of Thrones dragons (“They are pretty standard flamethrowers…and don’t have conversations.”). Sessions on autobiographical works and memoirs (where Stephen Fry takes a photo of the cheering audience to tweet later), creative processes, and long-form journalism followed. By the end of it, it is difficult to decide which is the most enriching but I know by then that I – like all the delegates and visitors – am going to go home with more knowledge and stories than I came here with. The weekend brings with it sunnier, warmer days, and a line-up that makes me wish I could clone myself and be at, say, three sessions at the same time. British historian and MP Tristram Hunt speaks about cities that were centres of the British Empire – Bombay (now Mumbai), Calcutta (now Kolkata), Sydney, New Delhi, Hong Kong – and where they stand today. As serious a topic as this is, the next part of my day – and the highlight of the event – is spent laughing with and in awe of Stephen Fry. An hour is spent with the comedic genius talking about his childhood days, time in prison, and getting in the laughs with friend Hugh Laurie. An impression of Rowan Atkinson is the icing on the very delicious cake. And just when you think he can’t get any better, he makes the evening come alive with ‘Fry on Wilde’, where the former speaks to hypnotised audiences about Oscar Wilde’s brilliant life, and what he and his works mean to him. If only one can turn back time and travel to the 19th century. The power of literature is such, I rediscover at JLF, that one can move from Oscar Wilde’s Ireland to India during Partition in a fraction of a minute. Two sessions on the country’s struggle after Independence – one on the genius of Saadat Hasan Manto and another on the effects and human emotions attached to the tragedy – leave me with a heavy heart. “Literature and art can approach questions of Partition in a way nothing else can,” says journalist Nisid Hajari, at the talk. And all of us seem to be in agreement. 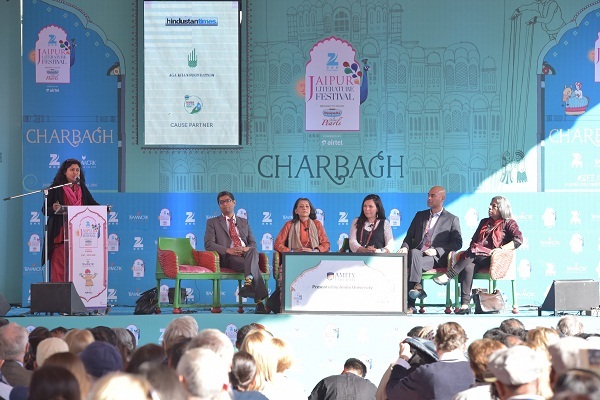 The perfect close to my time at JLF is a session on “trial by media” with eminent journalists Avirook Sen (“who would have won a Pulitzer if Aarushi was written in any other country”), Madhu Trehan and Shoma Chaudhury about the ill effects of sensationalism and media judgements. 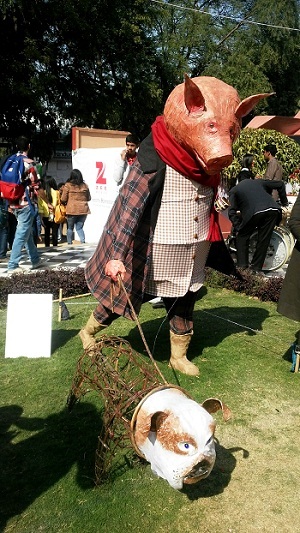 JLF, for some, may be a time for networking, or for others, a way to spend the weekend at an outdoor venue. But for bibliophiles like me, it is a place to see the people who inspire and invent imaginary worlds for readers, all in one place, and to build treasures of author-signed copies of books. But most of all, as fest co-director Dalrymple puts it, it “brings back new life” into the ancient tradition of reading and literature. 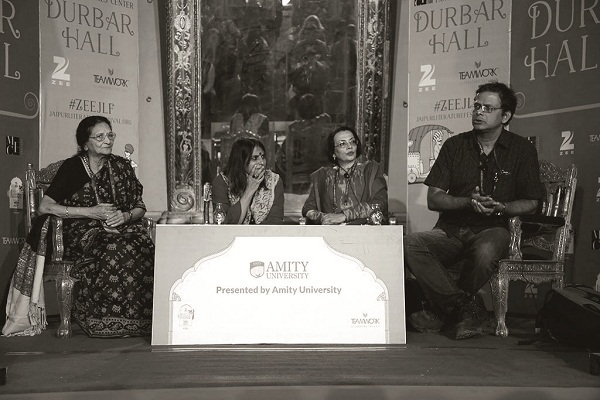 For the 12 best takeaways from Zee JLF 2016, click here.